My parents moved from the Netherlands to Bonaire in 1995, where I was born in January 1996. I have a sister Chanel (1997) and we always had dogs. My parents met each other during windsurfing in the Netherlands but gave it up after moving to the Caribbean to start a car-business on Bonaire. Until 2002 we hardly visited Sorobon, the windsurfplace to be. 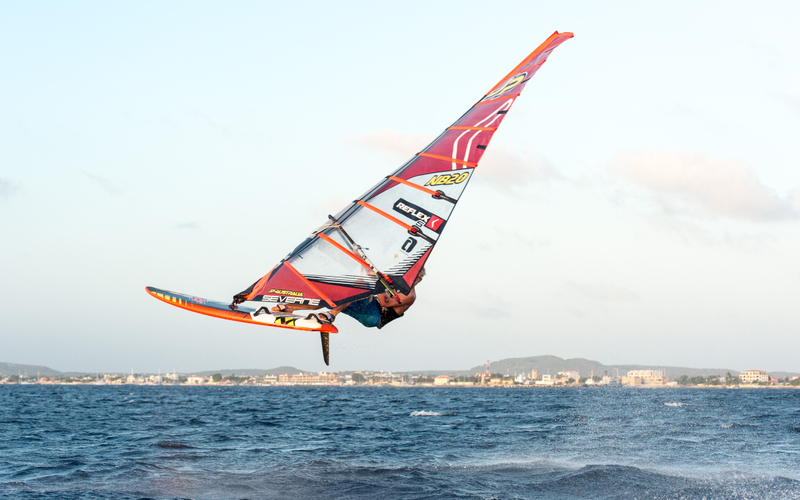 But the PWA “King of the Caribbean-event” took place and we all went to see the windsurf-action. When I saw what was happening on the water I wanted to give it a try too. Renting a board and sail at the local windsurf-shop was the start of where I’m right now. From that day on my parents brought me up and down to Sorobon, the local events became International events and my eager to become as good as those guys I saw during the PWA-competition in 2002 still grew every day. Not only the freestyle-part was interesting but also the Slalom-discipline. I have a need for speed, therefore offroad motor-cross is also a favorite hobby/sport of mine. School was and still is hard for me when the wind blows outside. When I was 16 I decided to become professional, quit Highschool and changed to an education in Sports & Movements. Maybe I don’t learn a lot out of books these days but when on tour or travelling around with my equipment meeting all kinds of people from different cultures, with different languages gives me also a lot of experience in life. In school I learn to train, stimulate and convince people that sport is very important in life. I want to be one of their examples. Set your goal and go for it. 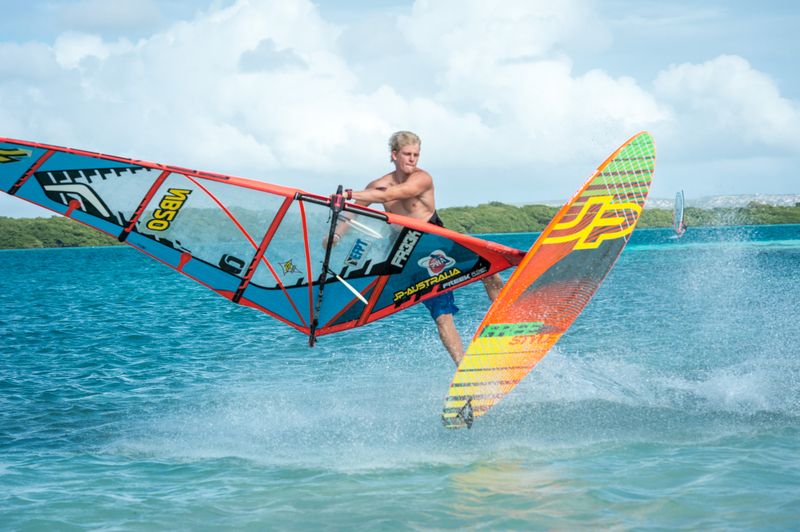 Windsurfing is not just a sport it’s a life-style. I hope to enjoy it many more years. My main goal at this moment is to reach the top in windsurfing. First in Freestyle and later on in Slalom. I’m very interested in the development of windsurf-equipment and hope to design boards and sails in the future. 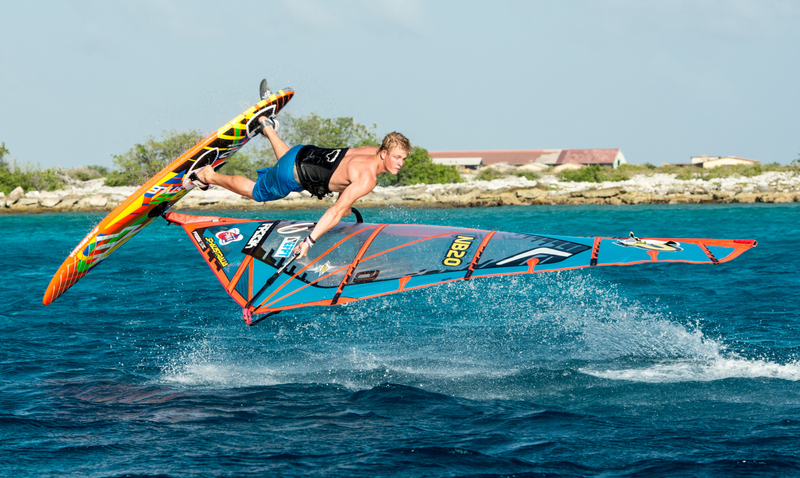 For this year it will be staying in the PWA TOP 5 Freestyle overall, but also try to climb into the TOP 3. Besides the Freestyle I want to train and participate in the Slalom-events as well. Becoming Wolrdchampion Freestyle in the near future. 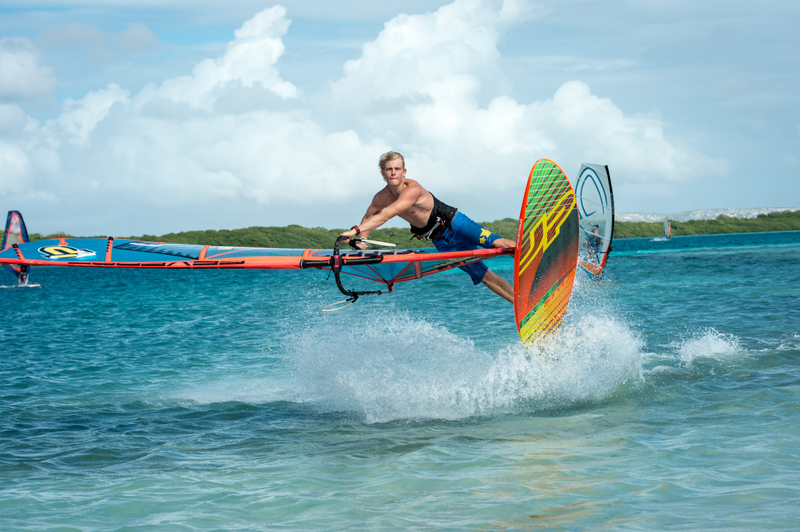 A windsurfer needs wind to train. 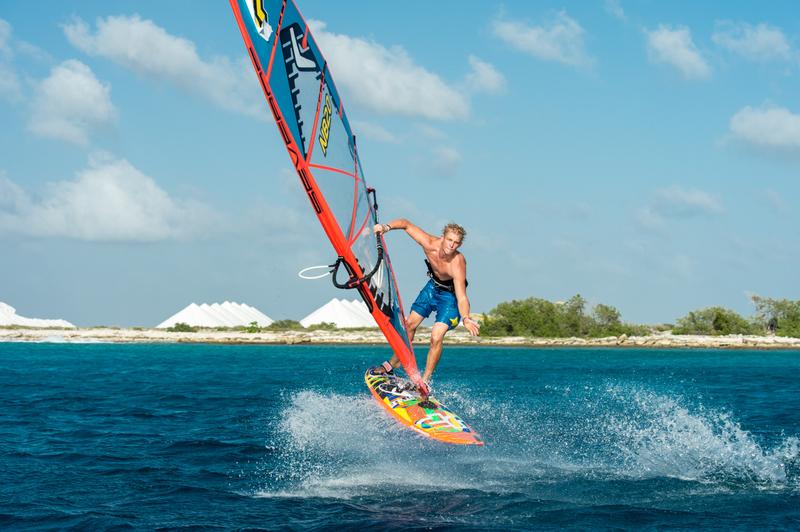 In a windless period for example here on Bonaire in September/October it’s hard to spend enough time on the water. Solution is to spend a lot of time in the gym to keep your body in shape during no-wind days or travel abroad. 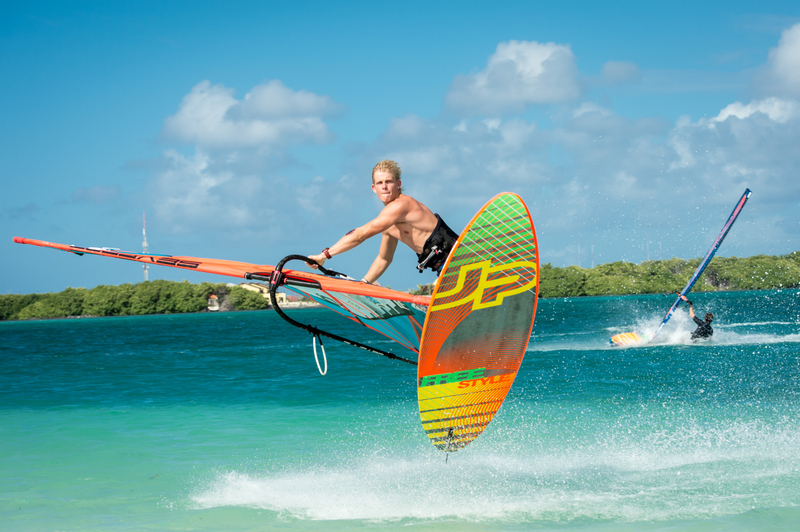 Travelling with windsurf-equipment is not easy and it is expensive, and there will be always a risk that there will be no wind at your destination. 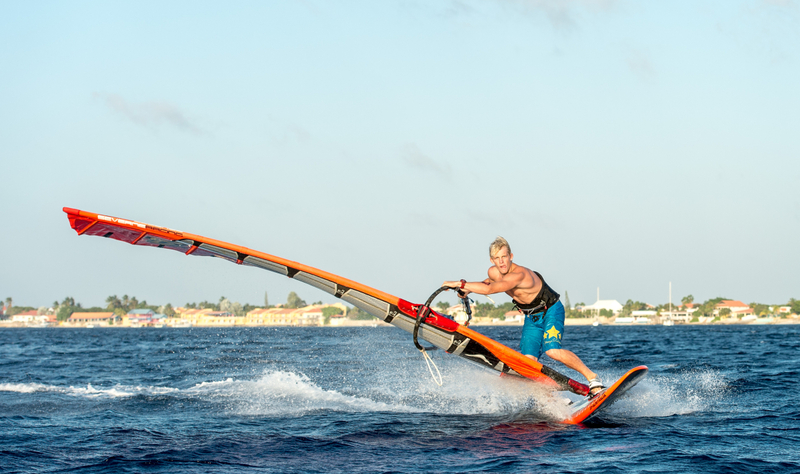 Sometimes it would be great to have a coach, although the windsurfers from Bonaire train together, push and support each other very well. I get satisfied when I set my mind for a new move and after a lot of hours on the water, at the end of the day I managed to land this move the way I planned. 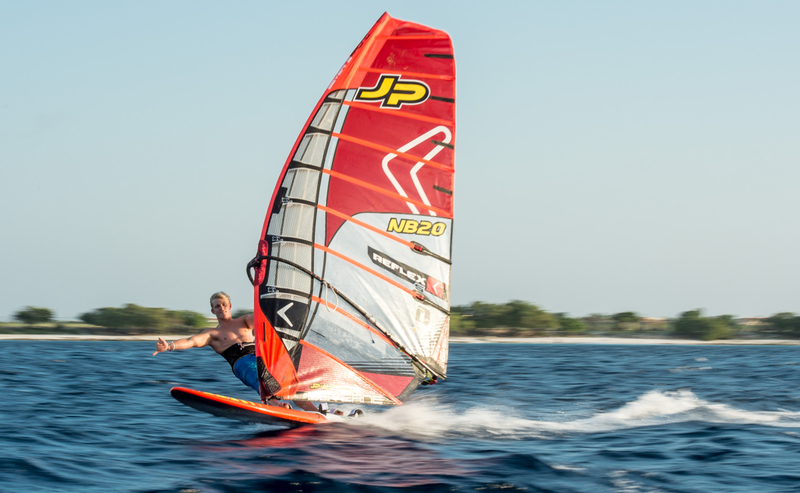 But most of all windsurfing gives me the feeling of freedom, a way to use my energy and push the limit by doing all kinds of crazy stuff on the water and in the waves. I always try to imagine myself in a heat. I will set my timer to 7 minutes and try to do the most scoring moves in those 7 minutes. I think the most important way to train is to do all the moves in both ways and be consistent. Looking after yourself is also very important. Don’t lose the time on the water, but rest, drink and eat between the sessions. I always try to be relaxed as possible before and during the heat, this makes you focus more on the moves. Eat and drink and have as less as possible distraction. Because the level of all riders is so high you really need to be focused, 1 mistake and you’re out…. I remember the beginning of my competition experience, I was really nervous and this made me almost crash every move. A tip: compete in as much as events possible to get used to the pressure. My biggest fans are my (grand-) parents and sister. They have been supporting me from the beginning and still are. They sometimes come to the event abroad to cheer along the beach. Go big or go home!! If you have your goal, go for it and don’t give up. It won’t be easy, perseverance is the key-word!!! 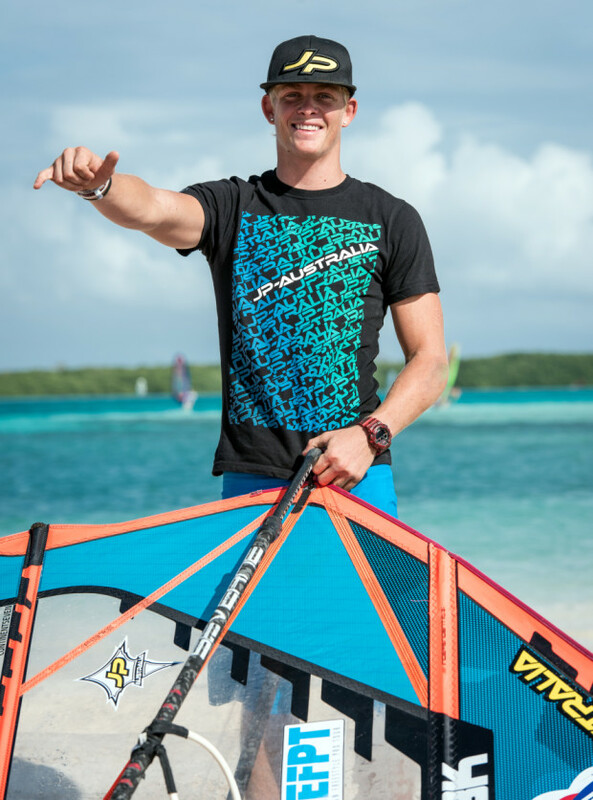 My plans are to reach my goal, to become Worldchampion in Freestyle in the near future and keep windsurfing as long as possible.